Those who need to obtain cannabis for medical reasons, or otherwise, can sometimes find difficulties associated with buying it. They may not live near a dispensary, or they may not enjoy the strains of the product available in their local dispensaries. What they may not be aware of is the fact that you can buy it on the Internet, and there are many benefits of ordering cannabis online. At Pacific West Bud, we sell a wide variety of cannabis products in order for you to enjoy the benefits of ordering cannabis online. The number one benefit of ordering cannabis online is the convenience associated with it. Think about how much online shopping we do nowadays. We buy clothes, food, vacations, and more online, because of the convenience associated with it. Being able to order cannabis online means that you can do it from the comfort of your own home. You don’t need to visit a dispensary, which is great for those that don’t have one in their vicinity. Even if you do have one nearby, it still takes time out of your day to go there and pick up what you want, and the entire process can contribute to gas costs too. Buying online also allows you to take your time if you need to; you can browse products at your leisure, while relaxing in front of the television. Furthermore, the product will be delivered straight to you door in no time at all. Another one of the benefits of ordering cannabis online with Pacific West Bud is the incredible selection of marijuana products that we boast. We have lots of different strains and different type of products available to customers. All of these are listed on our website for our customers to view from their laptop or mobile device. We have an extremely knowledgable team working for us as well,who will be able to provide you with any information that you need, or help you pick out a product. There can still be a stigma associated with buying marijuana. One of the benefits of ordering cannabis online is that you don’t have to deal with that. It is a completely independent and discreet process, so you do not need to be concerned about other people knowing what you are buying. The packaging that arrives is plain, so nobody will know what it is, and you will not be spotted walking into a dispensary. 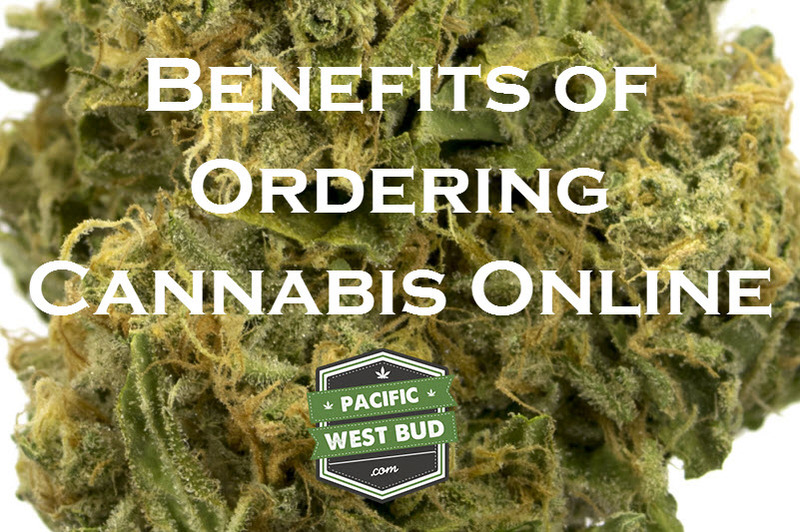 For more benefits of ordering cannabis online, check out our Pacific West Bud website and our products today.